Is it a Fruit or is it a Monster? When I read that supermarket group Tesco was going to start stocking the world’s largest avocado, my first thought was that the word for it must already be in wide usage. OK, that was my second thought. My first thought was Yum. But putting my greed to one side, I quickly Googled the word and discovered to my surprise that Avozilla does not appear to have been in any kind of common currency prior to this announcement. It’s not even in Wikipedia, and everything that’s anything is in Wikipedia. Except for Wordability of course, but that’s just a matter of time. All of which makes me slightly sceptical about the Avozilla. The way it has been hyped and covered suggests it is a new variety of avocado. 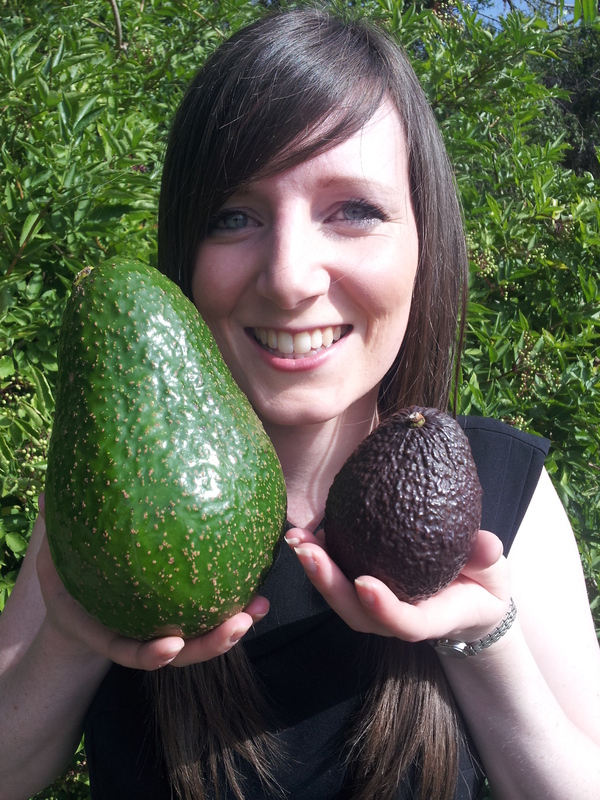 The press release trumpets that the fruit “is extremely rare and comes from just four trees grown by one of the world’s biggest suppliers of avocados, in South Africa.” Tesco salad buyer Emma Bonny said: “The Avozilla has a fantastic taste with a rich, juicy, buttery texture, and creamy flavour.” As well as its size, the difference in skin colour and texture are also used to highlight that it is a different variety. Call me cynical, but isn’t this basically just a big avocado? Don’t you already get some avocados with dark skin and some with light skin? Aren’t all the best avocados buttery and creamy? Is this really a new variety? The answer is surely in the word itself, and not just the fact that it appears nowhere else except in reference to this launch. New varieties are often amalgams of the different fruits which they represent, such as a Papple, or just some other word or scientific term altogether. But the only derivation I can think of for the Avozilla is Godzilla, and that the -zilla suffix is being used here to denote its monstrous size. Not a normal way of naming varieties and not one I see catching on beyond the world of marketing spin. Applezilla anyone? Avozilla must indeed come from Godzilla, unless it’s the newest release of Firefox from Mozilla (itself from Godzilla). Godzilla (ゴジラ) is interesting because it’s not God-zilla but Go-dzilla. It’s a portmanteau of “gorira” (ゴリラ ‘gorilla’) and “kuzira” or “kujira” (クジラ, or old-fashioned “kudira” クヂラ, ‘whale’). Thus, Godzilla should have been romanized as “Gozilla” or “Gojilla” (or old-fashioned “Godilla”), or romanized fully for the Japanese “gorira” as “Gozira” or “Gojira” (or old-fashioned “Godira”). And with “avocado” being Spanish’s folk etymology of Nahuatl “ahuacatl” ‘testicle’, the Avozilla is the testicle gorilla whale of the fruits we think are vegetables. Anyway, Godzilla always been about bigness, and the rough, green/black skin of an enormous avocado is just right to be an Avozilla. For Haas avocados, the unripe ones are green, the ripe and overripe ones are dark green to black. I would think these Avozillas would take a long time to ripen and thus be green in the store all or most of the time.